Our lips are more sensitive than our skin on other parts; therefore, it is quite important to take care of them. Massaging jojoba oil gently on your lips can make them soft. Jojoba oil contains essential vitamins such as vitamin B, E, and key minerals like copper and zinc thereby help in moisturizing your lips from deep within. Apply jojoba oil and say goodbye to dry lips ! 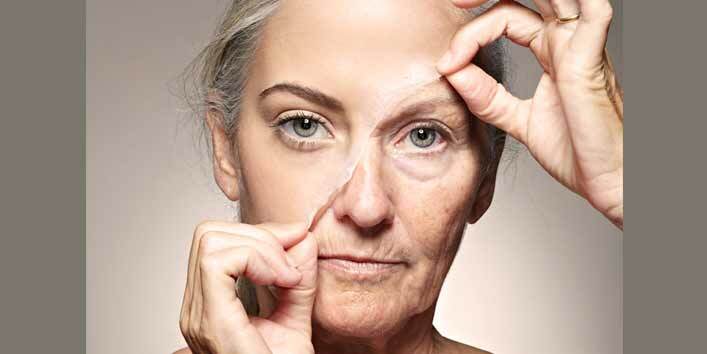 The harmful sun rays can damage your skin and can cause various skin problems. But fret not! Applying jojoba oil on the full body can protect your skin from sun damage. It is a good natural alternative to harsh sunscreen lotions or creams. So just apply jojoba oil and beat the heat. Also Read: Mind Blowing Benefits Of Rosemary Oil for Skin & Hair! The environmental pollution makes our skin dull and dreary. To retain its luster, you can use jojoba oil as it will bring back the moisture in the skin. Jojoba oil helps in keeping the skin hydrated and the best part of it is that it does not clog the pores, thereby, prevents the buildup of bacteria in the pores which usually causes a breakout of acne and blackheads. Jojoba oil not only make your skin glowing or flawless, but the vital vitamins present in it help gently reduce the fine lines, wrinkles and other visible signs of aging. Since jojoba oil does not have any adverse effects, it can be used in the regular skincare routine too. So just add this beauty ingredient in your daily routine and see its magic! Want to get rid of hair fall? Try out this magical bottle. Jojoba oil strengthens your hair follicles and results in the growth of healthier and stronger hair. 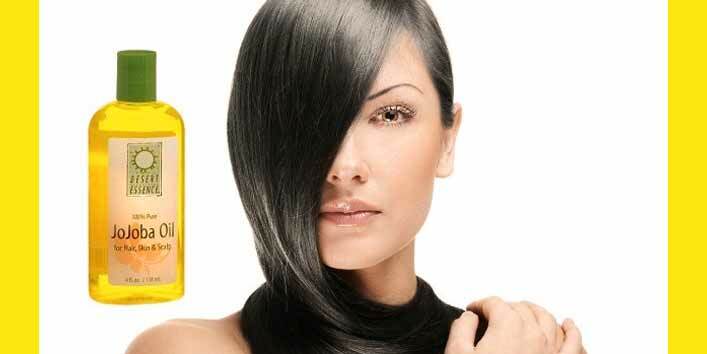 Vitamin B and E in jojoba oil makes your hair look shiny which also add volume to your hair. Simply massage your scalp with jojoba oil and notice healthy hair growth within a few weeks. It also helps in preventing the dandruff problems. 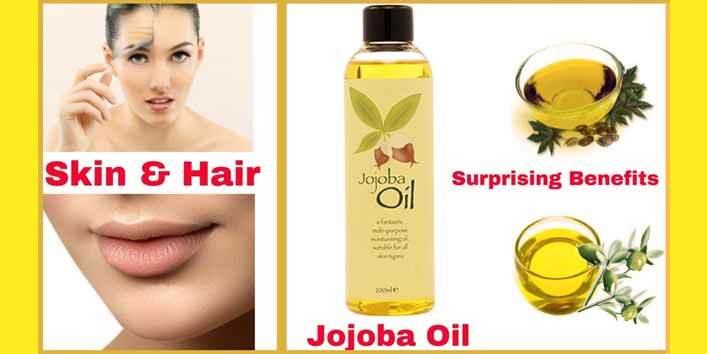 Jojoba oil has many amazing uses and benefits to your skin and hair but this is not all. 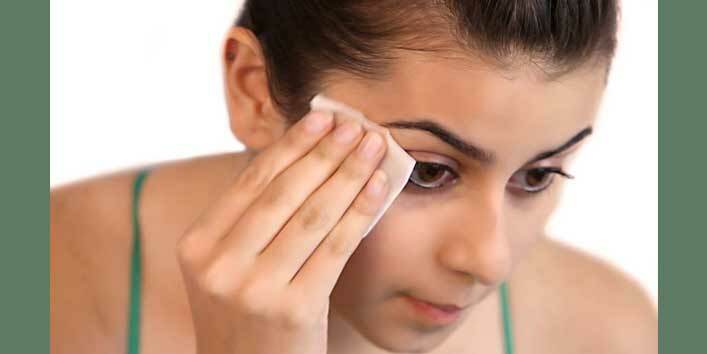 This oil is also used to remove makeup and therefore, it works as an effective natural makeup remover as well. All you need to do is to take a few drops of it on a cotton swab and gently remove your makeup like eyeshadow or kohl. Jojoba oil gives your skin hydrating effects as well while removing the makeup! Jojoba oil is a magic therapy for all skin and hair woes. So, include this bottle in your grooming kit, you won’t be disappointed!